This film is a quiet, gentle demonstration of how art can help souls heal. Rating: 3-and-a-half stars out of 4. “Midsummer in Newtown,” a haunting and lovely documentary, is about something very simple: a group of kids, with the help of some talented adults, putting on a play. 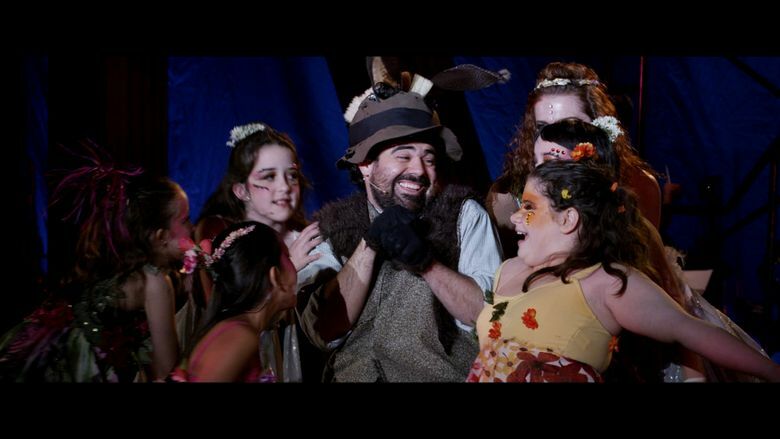 But it’s not just any play — Shakespeare’s gossamer masterpiece “A Midsummer Night’s Dream,” turned into a kid-friendly musical with the addition of original songs — and these aren’t just any kids. They are the children of Newtown, Conn.; many from Sandy Hook Elementary School, where just a year earlier a young gunman entered one of their classrooms and killed 26 people, including 20 first-graders. It’s one of the most emotionally charged documentaries you’ll ever see (I’m tearing up at my desk just at the memory of it, so you can imagine how many tissues it took to actually watch it). But “Midsummer in Newtown” is also beautifully uplifting; a quiet, gentle demonstration of how art can help souls heal. ‘Midsummer in Newtown,’ a documentary directed by Lloyd Kramer. 81 minutes. Not rated; suitable for general audiences. Sundance (21+). And simultaneously, we follow the journey of Jimmy Greene and Nelba Marquez-Greene, whose 6-year-old was among those slain. Somehow, unbelievably, they manage to move forward: Jimmy, a jazz saxophonist, by creating beautiful music for his daughter; Nelba by becoming an activist, determined to help build a culture of compassion. There’s a local connection to this film — Seattle’s Vulcan Productions is a producer — and a universal message. Poetry and music can’t mend a town’s broken heart, but its magic can help the Newtown parents and children move forward; to believe, again, in love.